Purchase Kotex products worth RM10 including one (1) Kotex Overnight product in a single receipt. Answer the questions and fill in your particulars in the Contest Form. Tower 2 Wisma AMFIRST, Jalan SS7/15 (Jalan Stadium), Kelana Jaya, 47301, Petaling Jaya, Selangor. 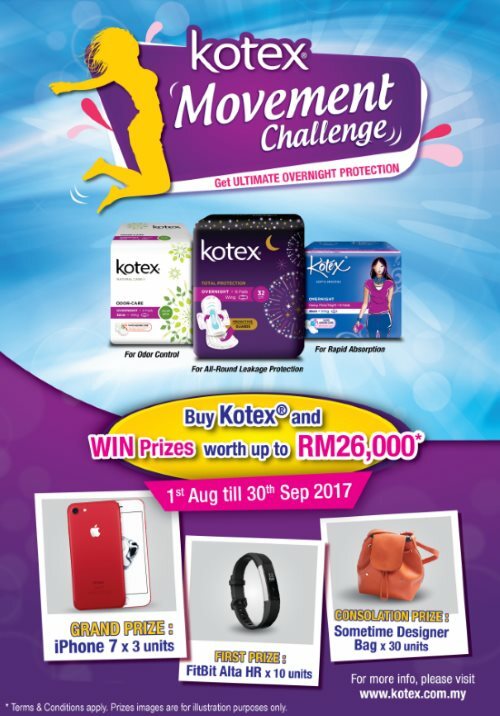 Visit Kotex Movement Challenge Contest Form for more details.